The fastest human on the planet isn’t Usain Bolt. It’s Todd Reichert from Saskatoon. You may have never heard of Todd, but he was able to move at an astonishing 144 km/hr utilizing a custom-designed recumbent bicycle with an aerodynamic shell. He propelled himself faster than any human in the history of our species. Todd isn’t a super athlete with mutant genes. He’s just a regular fit Canadian who might do well at a high school track meet, but would be trailing the pack if pitted against true Olympic champions. Todd’s secret weapon was combining his athleticism with his engineering prowess. He has a PhD in aerospace engineering and an in-depth knowledge in aerodynamics and lightweight construction. By combining his talents, this average guy has been able to achieve the remarkable. This overall philosophy is one I like to embrace. Over the years, I have learned the most important ingredient of success is not hard work, training or even having good mentors—but making sure the challenge is impeccably aligned with whatever strengths or skills you possess. The less talented or capable you are, the more creative the mix may have to be. My God-given talents are pretty unexceptional. In school, I was usually one of the last to be picked for the sports teams due to my physical ineptitude. I was OK in scholastics, but I certainly didn’t excel. Apart from daydreaming, there was nothing I was really good at, and I certainly didn’t seem a candidate to shine in anything. Despite a palette of mediocrity to work with, over the years I’ve been fortunate enough to find challenges that have not only been rewarding, but that I’ve managed to excel in. Interestingly, when you do well in a few obscure arenas, people assume you are a naturally gifted person. For example, numerous people have urged me to compete in Ironman-type challenges, assuming that because I’ve completed quests like slogging around the planet by human power I would lead the pack in a conventional race. Nothing could be further from the truth. All of my quests are in the realm of the obscure and have been custom-tailored to utilize my meagre arsenal of skills. For example, a few years ago I launched a successful attempt to break the human-powered speed record for circumnavigating Vancouver Island, British Columbia. While this may sound impressive, a lot of winds were blowing in my favour. The skills I’d developed over the years—paddling, rowing, logistics, expedition planning—were all perfectly suited for this quest. Additionally, Vancouver Island is my home turf, which made it easy to conduct advance research and to be flexible with the launch date in order to take advantage of ideal weather conditions. And most importantly, only half-a-dozen individuals before me had ever attempted to set or break the Vancouver Island speed record, so really I was only racing against six other people. Overall, it was a quest with the cards stacked in my favour. An even better example of having a guaranteed shot at the stars, despite my mediocrity, is the record that I don’t have but was guaranteed success at had I made the attempt: to be the fastest rower on the planet. Well, that is if you define fastest as greatest average speed over 24 hours. It came about when I began pondering the possibility of trying to break the 24-hour distance record by oar. I contacted Guinness World Records to see if they had a category for this. They told me there was no current category, but they were willing to create the category for my attempt. In other words, I would be the first to attempt a 24-hour row, so whatever distance I achieved would be a Guinness World Record. In the end, I ended up not doing the quest. It was a lot of effort to set up, and somehow the whole thing seemed to ring a little hollow with success guaranteed no matter how fast I went. But, if nothing else, the notion can serve as inspiration to all: that even someone who grew up as an uncoordinated, unathletic kid, who never really changed as an adult, can still go on to be a reigning world champion in the realm of sport. Another key component to success is spending the time developing obscure skills in arenas you’re passionate about. For example, my interest in small boats has led to a sideline business designing recreational rowing vessels. This skill has allowed me to create custom boats specifically for whatever watery challenge I decide to take on. Last year, in the Race to Alaska—a 1,200-kilometre race from Washington to Alaska—my tailor-made rowing trimaran allowed me to succeed in my quest of winning the under 20 feet category. Most successful people I know have followed this overall formula. Take Greg Kolodziejzyk from Calgary. He holds several Guinness records, including the greatest distance cycled in 24 hours (1,041 kilometres) and the greatest distance voyaged in 24 hours in a human-powered boat (245 kilometres—the boat was powered by pedals). Greg’s early background is much more nerdy than athletic. He had a successful career as a serial entrepreneur in high-tech and after selling the companies at a relatively young age, he changed gears to focus on improving his health and tackling major physical challenges. With Greg’s record-breaking pursuits, much more than physical aptitude was required for success. It was the very skills he had honed as a successful software CEO that were the key ingredients. Collaboration, innovation, research and development and an ability to process information were all required in the highly technical aspects of developing the cutting-edge human-powered vehicles required to break the records. Even the physical side of each record-breaking attempt was as much science as raw stamina, and Greg took the time to scientifically learn how he could wring every last joule from his body in a 24-hour period. My wife, Julie, is another example of how a marriage of obscure talents can allow one to achieve remarkable things. She led a very sedentary life as a child and gravitated to scholastics, earning a graduate degree in Molecular Biology. Typically with this sort of education, careers tend to be lab- or teaching-focused. But as Julie expanded her skills as an expeditioner—becoming the first woman to row across the Atlantic from mainland-to-mainland and rowing from Scotland to her family’s homeland of Syria—she was able to combine her science background and her newfound expeditioning skills to come up with a whole new challenge. She would embark on a science-based expedition to learn about the olive. 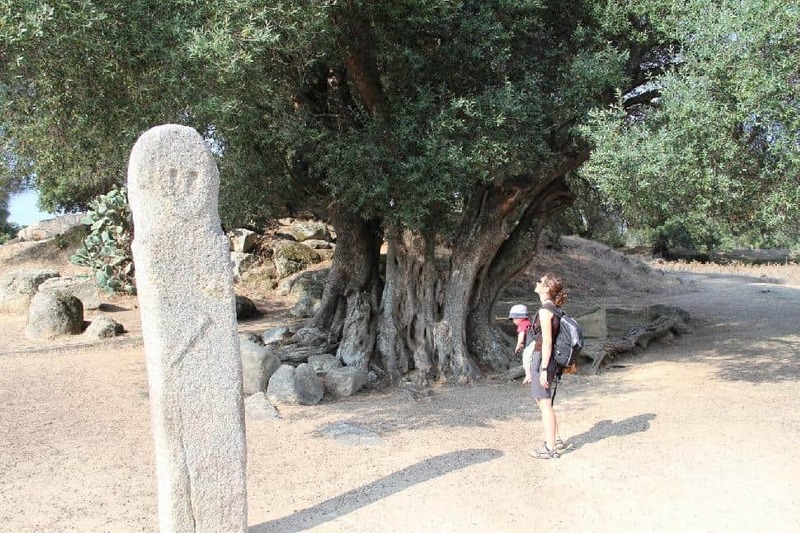 We would sail through the Mediterranean taking genetic samples from 1,000 to 3,000-year-old olive trees to shine a light on the mysterious origins of this influential plant. National Geographic and the Perugia Institute of Biosciences partnered with us on the project, and an exciting expedition was born. Julie wrote a book on the project and it was covered in the pages of National Geographic. The thing about achieving remarkable things is that we can all do it. Each one of us has talents; it’s just a matter of figuring out what those are and realizing that they may not be as obvious as you thought. Once you’ve recognized your strengths, hone them and fully make use of them. Then comes the fun part: deciding on the challenge. Dream big. What can you do that no one has done before, that sets you apart from the crowd, that you think is uber-cool and is perfectly suited to your talents? Then before you know it you’ll have a Guinness World Record—or at least a good story to tell when you drink your Guinness.